The message of The Big Leap, by Gay Hendricks, ties into the DREAM-to-DO message Kent shares on this podcast so well that we have created a 7-part series to talk about what it takes to make the “The Big Leap” in our lives, relationships, and careers. Kent started The Big Leap series in Episode 096 and 097 by defining the Upper Limit Problem and examining its flawed foundation. In Episode 098, he showed us how to spot Upper Limit Behavior and what steps to take to dissolve it in our daily lives. 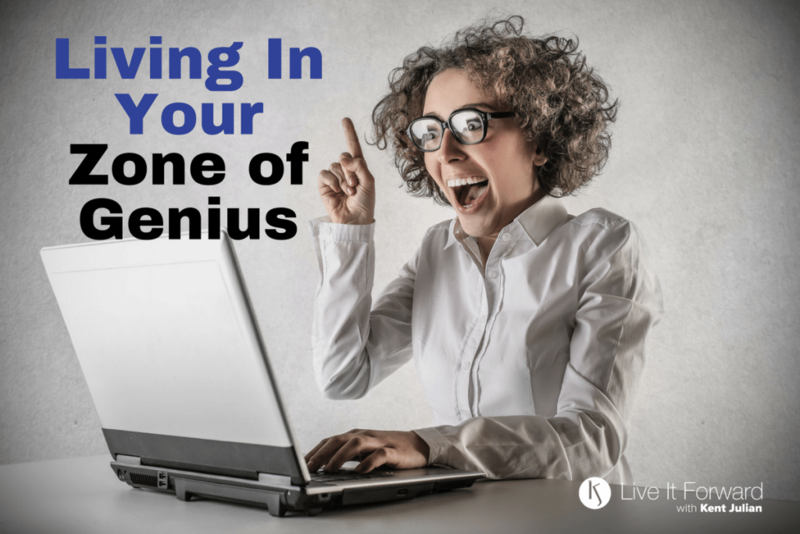 Then, in Episode 099 and 100, Kent talked about confronting your fear with your Zone of Genius and how asking the right questions can lead you into your Zone of Genius. In this episode, you will discover how to start living consistently in your Zone of Genius! You can live consistently in your Zone of Genius by practicing three daily habits (“shortcuts”). NOTE: Kent adds “all for the glory of God” because of his personal faith and belief in Scripture. – https://liveitforward.com/big-leap — for a content-rich PDF outline of all the Episodes in “The Big Leap” series.